I have take an avaluation code 15 days for jetstream, when i make right click in Cyclone at a model space the following message appears. I want to take after publish a.jsv file to share it locally with my clients how i will do this ? The evaluation code have benn installed correctly. May i need something else? You don't have any storage locations, that's why it won't let you store in Jetstream. 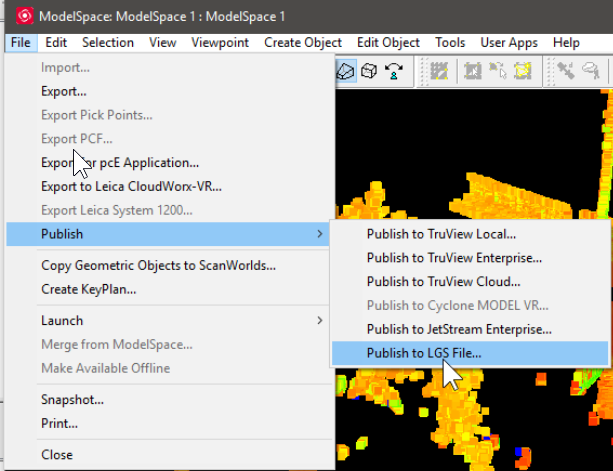 Are you storing in Jetstream on the same server as where your modelspace is located? Have you gone into the Jetstream admin tool, or do you have Jetstream installed right now? Publishing a JSV is done in the Jetstream Admin tool, not inside of Cyclone. The image you shared is the first step to store a Cyclone project in to Jetstream. 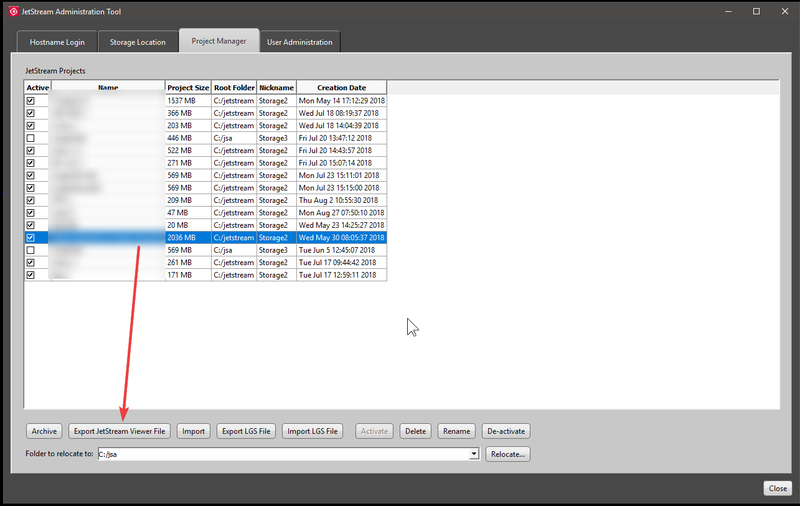 After that you will see your projects in a list in the Jetstream Admin tool, and you can publish to JSV. If your goal is only to create a viewer file of the cloud to send to someone, you should be publishing to LGS, not to JSV. If your local leica dealer can give you a EID for Publisher Pro, then you can open a model space, publish to LGS and then send that file to the user to view. Latest Jetstream Viewer can view either LGS or JSV files. This way you also bypass having to store in Jetstream, if that was never your goal in the first place. Υes I just install it , all projects is done on my pc not on a server however the button in screen shot seems not to be active why ? Also store in Jetstream button why is inactive ? Publisher pro is a different license ? I think it has 7000 euro plus vats cost and the simple publisher 4000 euro plus vats! 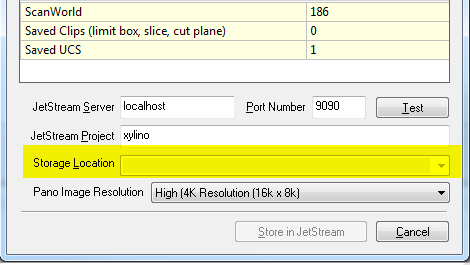 You need to click "Test" button first to test/connect JetStream server, then you can select the storage on the server, and click "Store in JetStream" button. You need to get some support documentation to make sure you have everything set up right. George is right though-nothing is going to work until you have Jetstream Admin set up correctly and a storage location. In Register 360 you can publish everything JSV portable, LGS, Jetstream Enterprise, etc. LGS format will be the most useful for passing around-by a long shot. So as i understand Publish Licence is only for cloud storage not local ? ''In Register 360 you can publish everything JSV portable, LGS, Jetstream Enterprise, etc. So if i bought an extra licence for Cyclone 360 i will have lgs publish option without buying publisher extra licenses ? Also can anyone explain us how the following graph works ? What licences must have in order to work with another ? Any vendor to answer us ? From what we have worked with hands on, and we have had Multiple demo licenses of multiple modules over the last 2-1/2 years- this is what I understand. Any Leica people out there can correct me. If you buy the Cyclone license with Cyclone Register - You get Register 360 as a "Freebie"- but you can NOT use the two simultaneously as they both access the same "Register" license capability. You can Export formats *.PTS, *.PTX, *.E57 and Registration reports out of both products. Publishing means writing out a Truview portable, Truview Enterprise, Jetstream Portable, Jetstream Enterprise, or a newer LGS file. Register 360 is their new multi-threaded Register and exporting Program that was released Summer 2017 to coincide with the release of the BLK360 and the newer RTC360 scanners. Neither product was complete when released and they have been slowly tweaking the bugs out and adding bits of functionality. RTC has been better than the BLK, but the accompanying Field 360 mobile app for the RTC (and hopefully in the future the BLK) has had a few bugs in it. Where-as the Flagship Cyclone can actually fully edit a point cloud, Register 360 can Manage different "Hiding clips" on the cloud, but not reduce the size or density of a cloud database once ingested. Though it can manage the size Published out, at least I think they intend it to. Anyone have a problem like this. Can please anyone answers as in the above post?